When I was doing Evie's nursery I stumbled on a great deal on hand painted letters, which I adore and which matched her room to a T! However while shopping this time I realized just how great a deal I got, and that I could not afford the regular price. That was when a couple friends suggested I try to make my own. 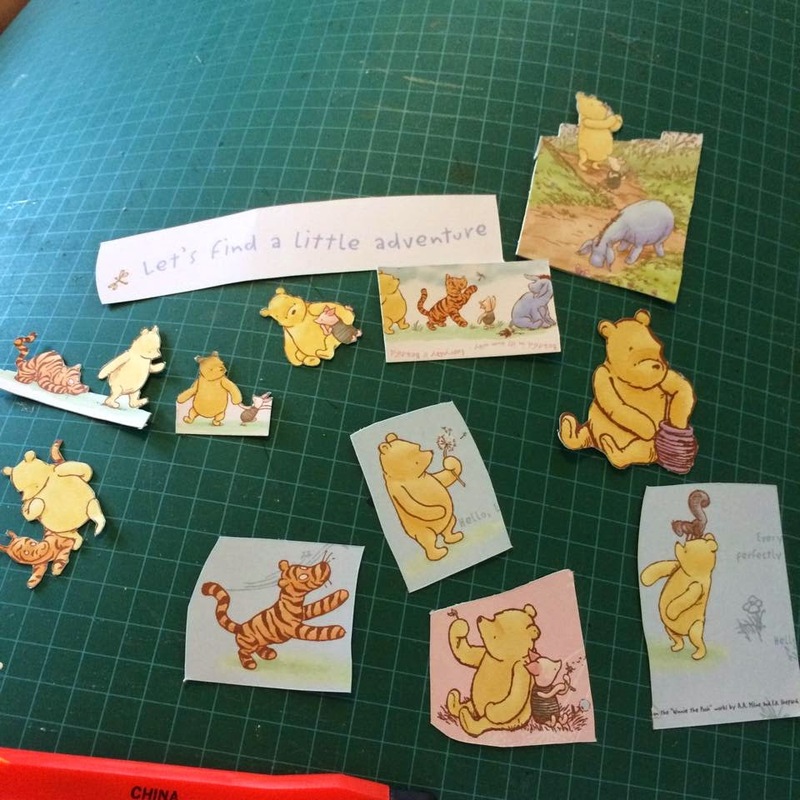 Now, I may be craft, but I am not an artist and definitely could not make a passable Pooh, so it was time a new idea! 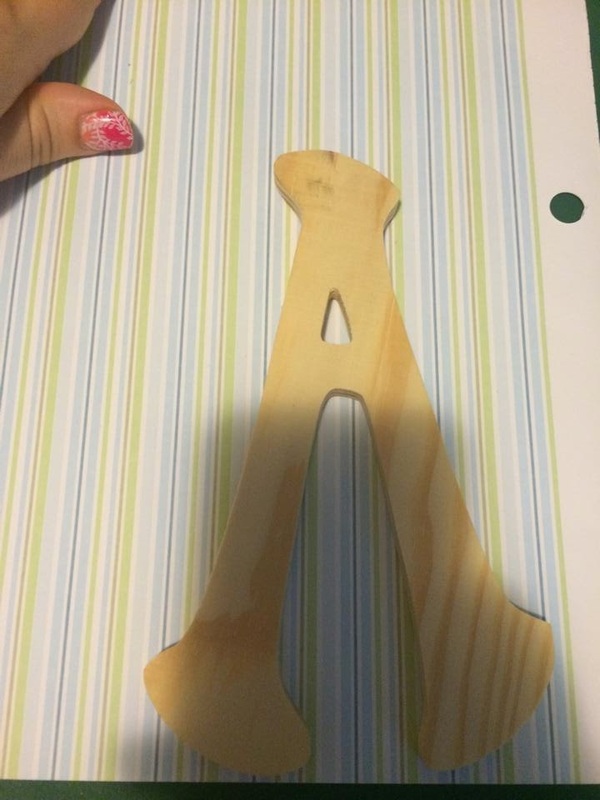 One of my friends had modge-podged her letters, so I used her project as my inspiration. Unfourtunately it appears that while Classic Pooh was readily available a few years ago, it is now relatively hard to find. 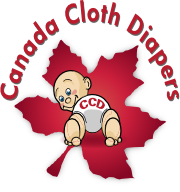 This means that I was ordering my supplies off E-bay and paying the insane Canadian shipping prices. If it wasn't for that this project would have clocked in under $50 as opposed to the $100+ quoted for hand painted letters on places like etsy. Step 1. 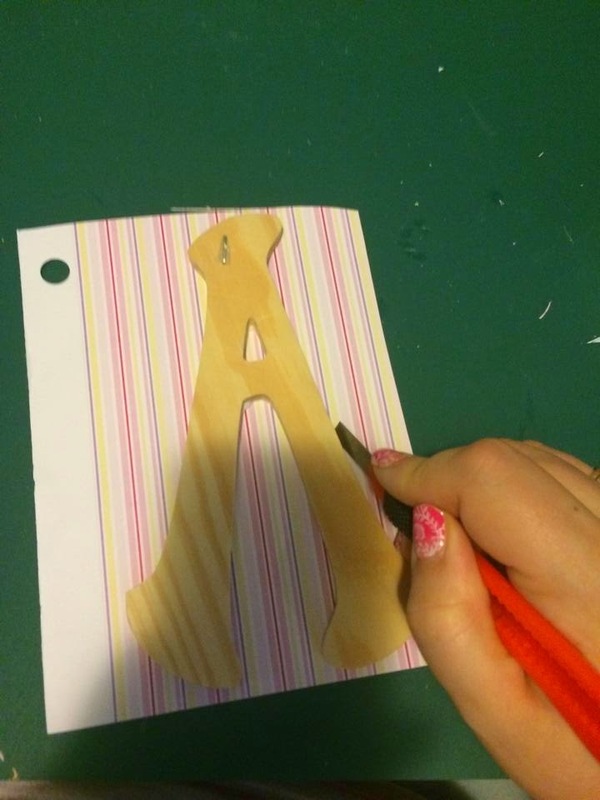 Excise any images you want from your paper to decorate the letters. This a tedious project best down with a self-healing mat and an exacto knife. 2. 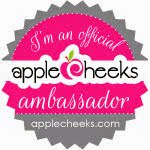 Line up your image with your scrapbooking paper and mark the outside loosely. Cut out a rough shape. 3.Cover the right side of the letter in a generous layer of Modge-Podge and glue the wrong side of the paper down. 4. 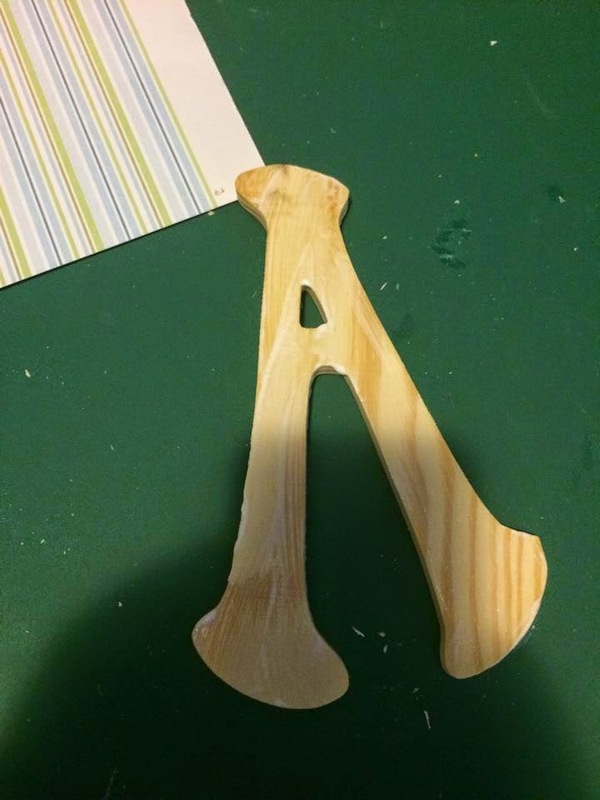 Turn the letter over and very precisely cut around it with your exact knife to create a smooth edge. 5. Coat the back of your decoration with glue and stick it down. Then place another generous coat all over the letter. Let it dry and you are done! 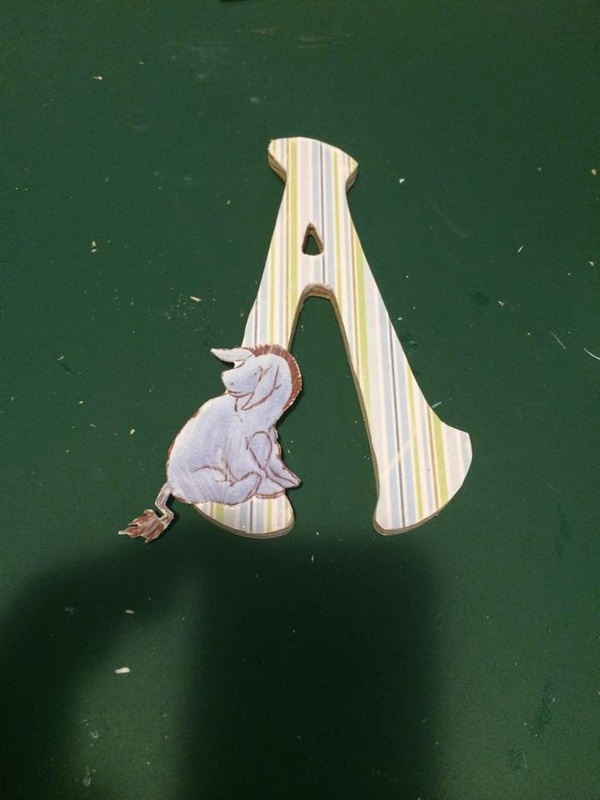 Sorry you guys only get to see one letter for now, but once our whole nursery is revealed I will update with his whole alphabet. We don't want to give away his name, after all!